Lookbooks are collections of photographs complied to promote a particular clothing or product line. In the past, fashion designers, photographers, and other artisans have used lookbooks to promote their work, get jobs, or just plain sell. But more recently lookbooks have evolved a bit to become a popular form of social media content and a popular way for merchants to engage shoppers. Lookbooks make a visual appeal to a shopper’s senses and imagination. A well-photographed and well-marketed lookbook can inspire shoppers to buy. At its most basic, an online Lookbook is a collection of images meant to promote a product line. The Lookbook on DTLR.com is a basic example. The key benefit to marketing with lookbooks is that they fire up human senses, which is an important driver behind buying decisions. “What is shopping?” asked author Paco Underhill in his 2008 book, Why We Buy: The Science of Shopping — Updated and Revised for the Internet, the Global Consumer, and Beyond. “I don’t mean what is buying,” Underhill wrote. “I don’t mean what is entering a public place where goods are kept until they can be exchanged for money. I definitely do not mean what is retailing, or what is commerce, or what is trade. A sensual shopper, as Underhill describes her, is engaged in the pleasure and excitement associated with choosing the products one buys. Although this experience will almost certainly be stronger in person, where a shopper may touch a fabric, smell a perfume, or even taste a truffle, the online lookbook can make just this sort of sensual — visual — appeal. The lookbook on the Malibu Native website shows lifestyle images that convey an attitude. The lookbook concept has become popular on some social media sites, perhaps most notably Pinterest. It is common for Pinterest users to pin collections of products that represent looks. Effectively, consumers are creating wish lists like lookbooks and sharing them with friends as a form of online, group shopping. Social media users that put together popular looks are respected, followed, and even praised in the context of the site. This peer approval may actually act as an incentive for some shoppers, to seek out looks. 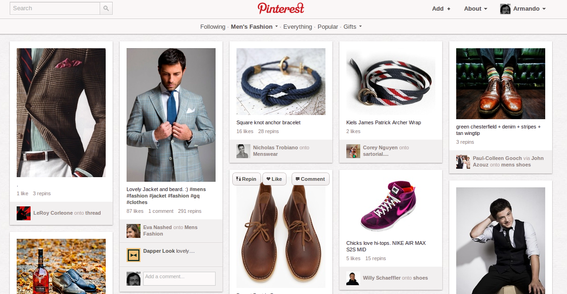 Pinterest is akin to a large, ever changing lookbook. To help fuel this sort of “lookbooking” behavior, online retailers should include “Pin It” buttons on lookbooks and focus on high quality photographs rather than simple product shots. 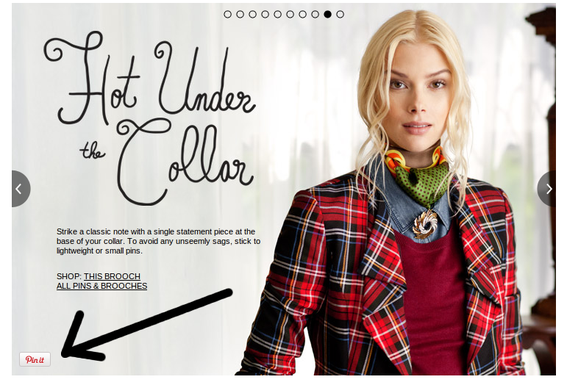 Nordstrom’s includes "Pin It" buttons on its lookbook photos. 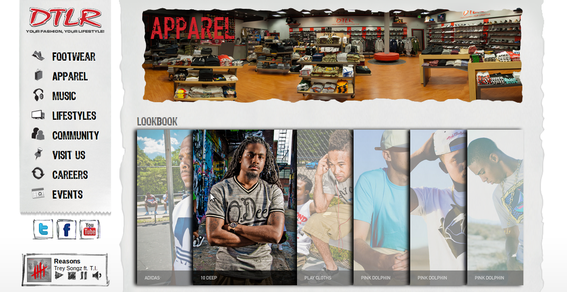 Lookbooks may also help drive sales when they are placed directly on a merchant’s own website. A particularly good approach may be to include “Shop this Look” links that let a consumer easily transition from browsing a look to buying an item. The Abercrombie & Fitch website is an excellent example of this sort of lookbook marketing, where each page of the store’s lookbook includes an option to purchase individual items featured in the look. Abercrombie & Fitch lets site visitors shop directly from its lookbook. 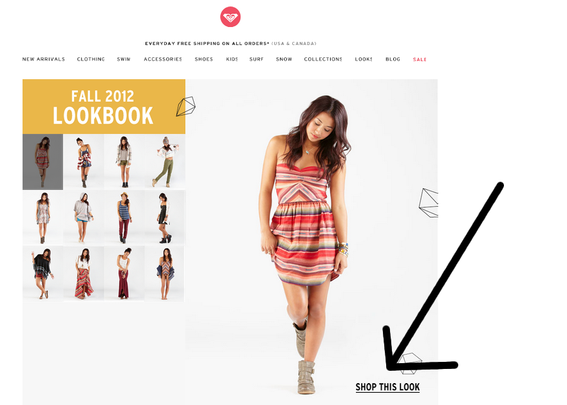 Similarly, Roxy’s lookbook includes a “Shop this Look” link. Roxy’s lookbook also lets visitors shop the look. 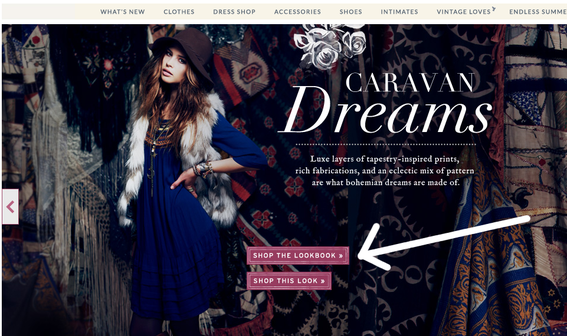 Free People centers its shopping links directly over each lookbook image. Lookbooks are collections of photographs meant to promote a product line. For online retailers, lookbooks are an opportunity to evoke an emotional response in shoppers.